I am so honored to be a new monthly contributing writer for a community of godly female writers at Daughters of the Deep. My first post is up on their site. I recently had the opportunity to speak with a group of parents and students about community. It was by no means a coincidence, but a God-given, ordained moment in time. Every year I choose a word for the year that has been impressed upon me by the Holy Spirit. It’s a word or a theme that represents something that keeps confronting me. 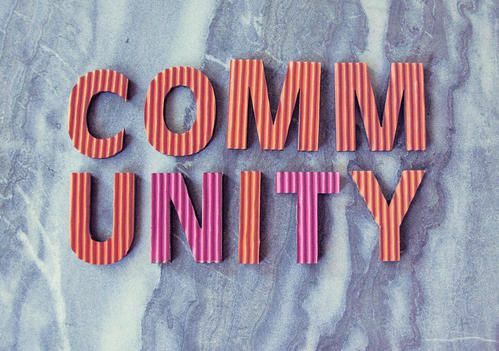 Last year, my word for the year was “community.” So, when my friend sat down with me in October and asked me to speak at her church’s conference, I wasn’t completely shocked when I looked down at the schedule of speakers and saw that the only blank space needing to be filled was the one for “community.” I say I wasn’t shocked, but that doesn’t mean at all that I wasn’t sweating profusely at the ask or the task. Although 2016 had been my year of “community,” in all honesty, I’m still seeking and searching for community and trying to figure that all out. To be asked to speak about something you don’t feel super confident about or super smart about is both humbling and unnerving. It’s also a place where the Holy Spirit can minister to you and through you because you don’t have all the answers. There’s only One who does.